Our paper writers are always ready to deliver quality assignments and coursework and that all at very reasonable pricing. It is no wonder students are going through nervy times at schools, and universities. With too much subjects to worry about, assignment writing adds to the problems. At EssayArsenal.co.uk, we ease your academic pressures. Born of determination to serve the students in the time of need, the writers and editors at our service have a great penchant for writing all types of academic papers within the turnaround time you want. There are numerous benefits that the professional writers offer to you. You will get an excellent work that you can use to improve your own writing. The essay papers are written from scratch and without any plagiarism. 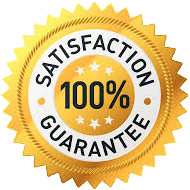 We guarantee there can never be any plagiarism issue with our custom writing service. We also work on urgent projects so that the clients do not get frustrated if the deadlines not meet. Those of us who put college essays for sale are often subject to vehement criticism. It is quite understandable that our writers are well-placed and well-versed to handle all your academic writing tasks at a relatively less cost. Instead of scratching your head in despair, it is sane to contact our experienced and qualified writers, researchers, and editors. They take your essays, assignments, research papers and dissertations quite seriously and write as they would have done theirs. Our services are not just limited to essay and assignment writing, we offer great dissertation writing services as well. Each writer is qualified and well-versed to embark on writing your project. Regardless of the words, you can place an order of as many words as you want and you will be delighted with the end product. For dissertation and thesis projects, we employ our most experienced writers who make no errors in writing it all for you. The thesis writers are never running out of time. They always are ready to write for you. You should pay attention to writing papers as it is quite difficult to write amid stiff deadlines. Having come from a long way, the writers have become quite accustomed to writing in the best possible manner for you. The skillful writers at Essayarsenal.co.uk will write in absolute accordance with the requirements that you provide. You should give us the accurate description of what you actually want in your assignment. Leave the rest to us. There is no subject that we find tough or "difficult". We hire the custom essay paper writers from different backgrounds who are fully capable of writing assignments on any subject. Arts, Biology, Business Studies, History, Finance, MBA, Marketing, Human Resources, Medicine, Psychology, Nursing, and Politics are usually the subjects we keep writing for students throughout the year.